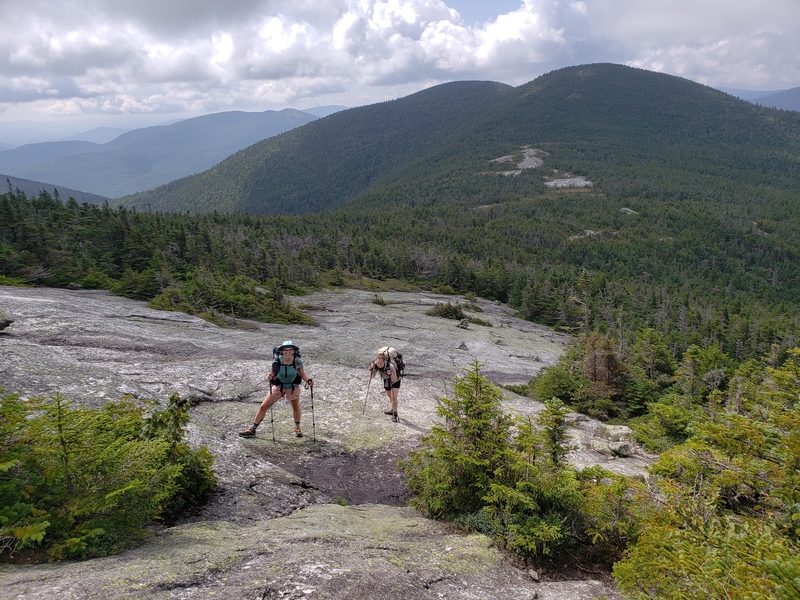 After fueling up on leftover pizza and soda for breakfast, it was time to journey up one of my favorite mountains in Maine: Bald Pate. At least for a moment, the sun came out for our climb! 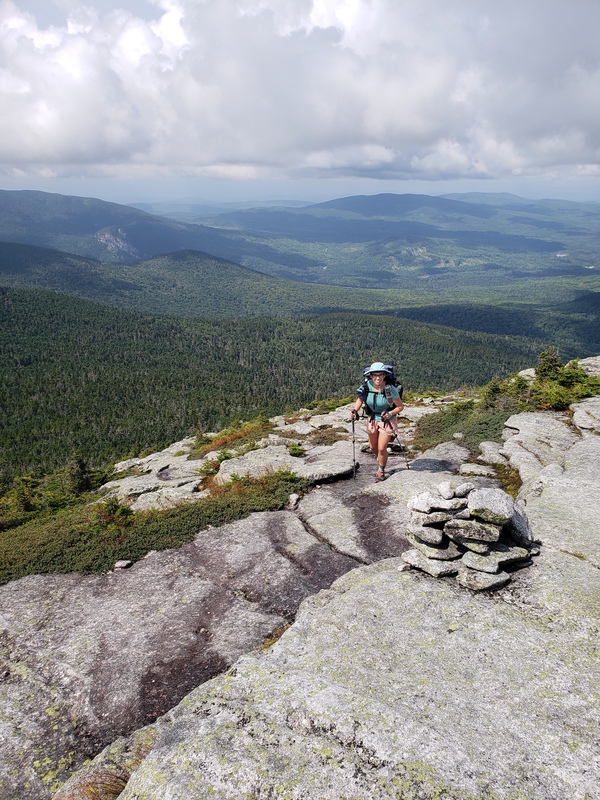 Sitting on top of Bald Pate really shows how wild Maine is–there is nothing except wilderness as far as the eye can see. 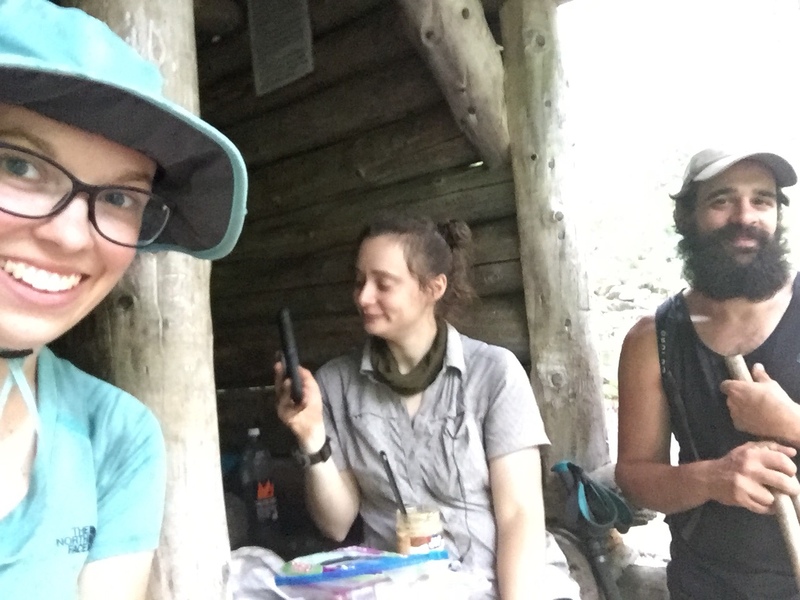 My friends pushed on and I decided to eat my lunch until I saw a thunder cell quickly building in the distance. I’m not a fan of lightning, so I got moving. Sure enough, the rumbling started just a few minutes later soon followed by the downpour and light show. I was close enough to a shelter to make a mad dash and only caught a few raindrops before I got to safety. Other hikers at the shelter had the same idea. Because we all got crammed into the shelter, I got to walk out with a man named Moses. Turns out he’s from just outside Knoxville. We spent 5 miles reflecting on what he has received on his journey and what he still needs from his time on the trail. Please pray for closure for Moses on a difficult personal situation and direction on what’s next after the trail. 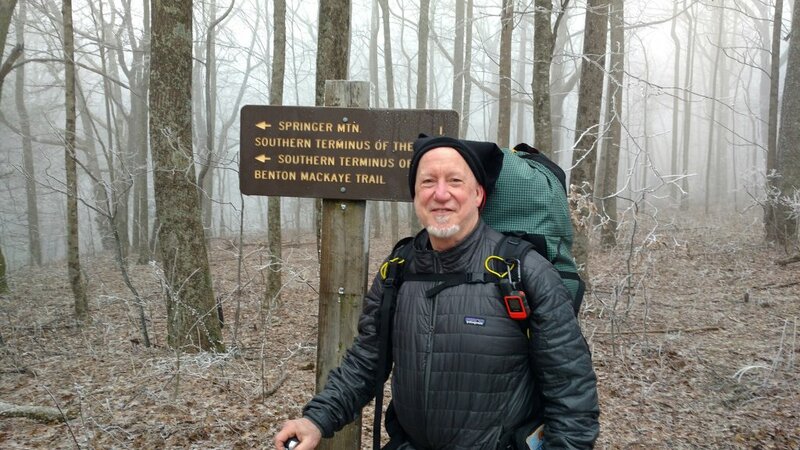 I also met and walked with a guy named Spenders today who is full of life and wisdom. I hope I get to spend more time alongside him in the coming miles. On a lighter note, I’m still waiting to see a moose. There were signs of one around the shelter we stayed at tonight and a dog started barking at something that must have been the moose. However, I didn’t catch a glimpse. Better luck next time!